ThinkMarkets is the brand name of TF Global Markets (Aust) Pty Ltd. An award winning forex broker and fully regulated by the Australian Securities and Investments Commission (ASIC), as well as authorised and regulated by the Financial Conduct Authority (FCA) of the UK. They also boast with Superior Fund Security. As a premium online broker, not only is ThinkMarkets overseen by some of the world’s most-trusted financial regulatory bodies, they also go a cut above to ensure total security of client funds. ThinkMarkets’ clients can trade easily and with peace of mind, knowing that we are fully registered with the Australian Securities and Investments Commission (ASIC) as well as authorised and regulated by the Financial Conduct Authority (FCA) of the UK. One of the few established forex broker that is based in Australia, ThinkMarkets is highly regarded by many of the retail forex traders are based in Oceania and South East Asia. Since setting up shop in 2010, they have managed to earn a reputation as a professional and reliable broker. TF Global Markets (UK) Limited is authorised and regulated by the Financial Conduct Authority, FRN 629628. Registered address: 2 Copthall Avenue, London EC2R 7DA. Company number: 09042646. Trading the price of cryptocurrencies requires no digital wallet or specialised technology to keep it safe. All it takes instead is a trading account with ThinkMarkets. With ThinkMarkets you can choose between Bitcoin, Ethereum, Ripple, Litecoin, Dash, Monero, NEO and Bitcoin Cash. Those cryptocurrencies are quoted in US Dollars with great trading conditions and pricing. To find out more create an account and join thousands of traders starting to take notice of this unique opportunity. Trade Interceptor is the only trading platform which was created from the ground-up for mobile. It has top rankings on the app stores worldwide, thousands of 5 star reviews, and was awarded Best Mobile Platform by the forex industry. ThinkMarkets offers Islamic (swap-free) Accounts to traders following the Islamic faith. Our Sharia-compliant accounts offer these benefits and more. Depending on the type of trading account, spreads varies according the type of assets traded and can be as low as 0.2 pips. As for commissions, standard account pays nothing but Pro account holders are charged 3 units per leg per lot. VIP account holders pay a special variable rate scaled according to the trading volume. At the end of our review, we can only conclude that ThinkMarkets is a trader friendly broker. 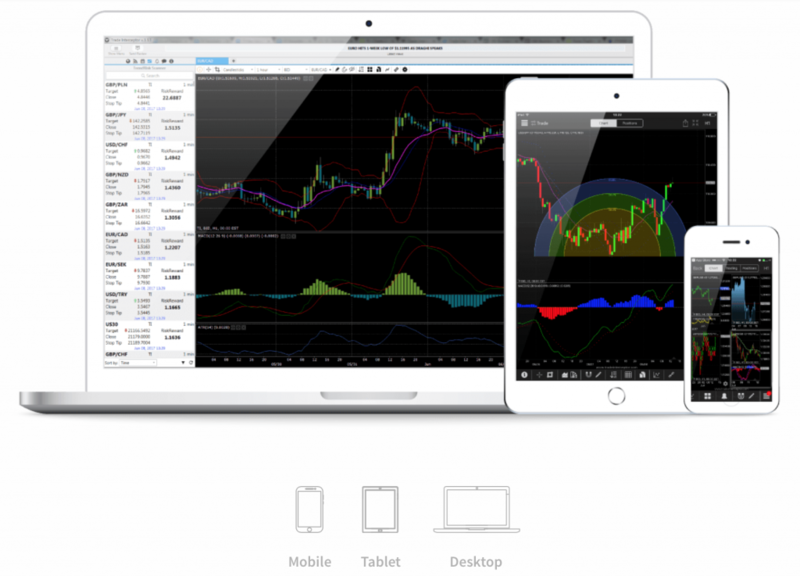 They also offer the TradeInterceptor trading platform, which was the first mobile trading platform. They are an FCA and ASIC regulated broker offering low spreads and great trading conditions.